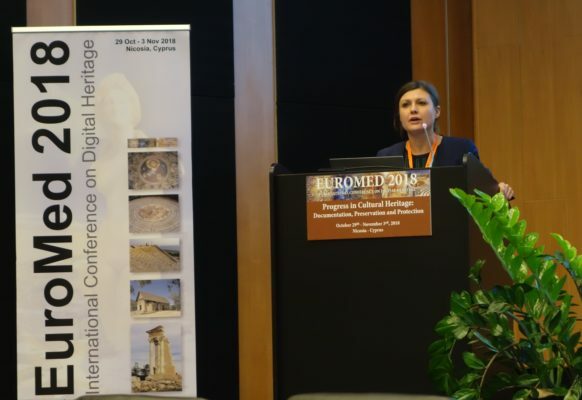 Constanze Fuhrmann will be giving a keynote at the Euromed 2018, the International Conference on Digital Heritage in Cyprus. From 29th of October to 3 November 2018, experts will have the opportunity to come together and to exchange knowledge and experiences in the field of cultural heritage research and about what the future will bring for further developments in this area. In the European ViMM workshop on “How digital technologies can contribute to the preservation and restoration of Europe’s most important and endangered cultural heritage sites”, Constanze Fuhrmann will present the current trends & challenges of 3D digitization. In her talk, she will also touch on the need for standards and guidelines in this field in order to push forward the digital transformation in the cultural sector.